This engagement portrait has a lot going for it. 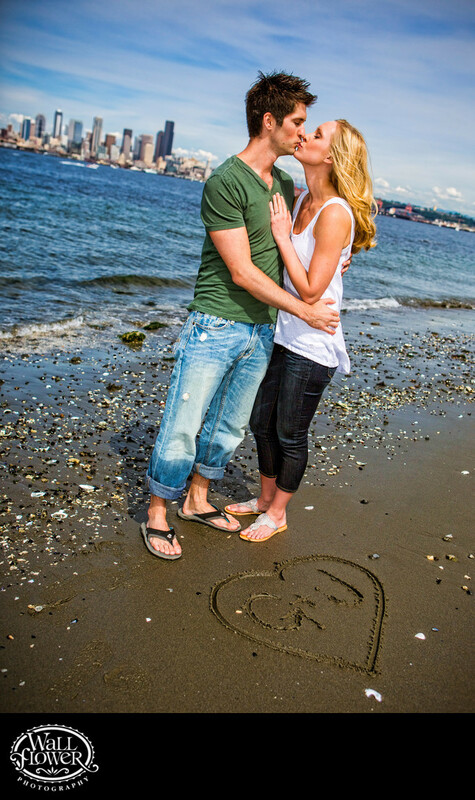 The sharply focused couple are locked in a kiss and embrace on the beach at Seacrest Park (near Alki Beach) in west Seattle, looking across Elliott Bay toward Seattle in the distance. Shortly before, he scratched a heart with their initials in the sand, and we set up the pose so that it would be at their feet in the bottom corner of the frame.